Valentine’s Day is tomorrow; if you’re a college student, you’ve procrastinated and haven’t gotten a thing for your sweetheart yet. No worries, I’ve pondered over Pinterest and found some winners. I’ve even cooked and priced them for you. Every individual recipe is under $20, so take a look and choose your penny-pinching-Pinterest recipe to conquer. This one is the most challenging of the goodies, but arguably, the most rewarding. It can be done for $17.75, assuming that you have to go buy everything brand new. However, most people have butter, eggs, sugar, and flour in their kitchen, so the recipe would realistically cost about $12 to make 18 cheesecake cupcakes. Reese’s chocolate cheesecakes. Photo by Tristen Phipps. The shortening is optional. If you don’t have it in stock, it isn’t worth buying, I replaced it with butter. Despite the intimidating image of the finished product, Reese’s Chocolate Cheesecakes were very practical to make. 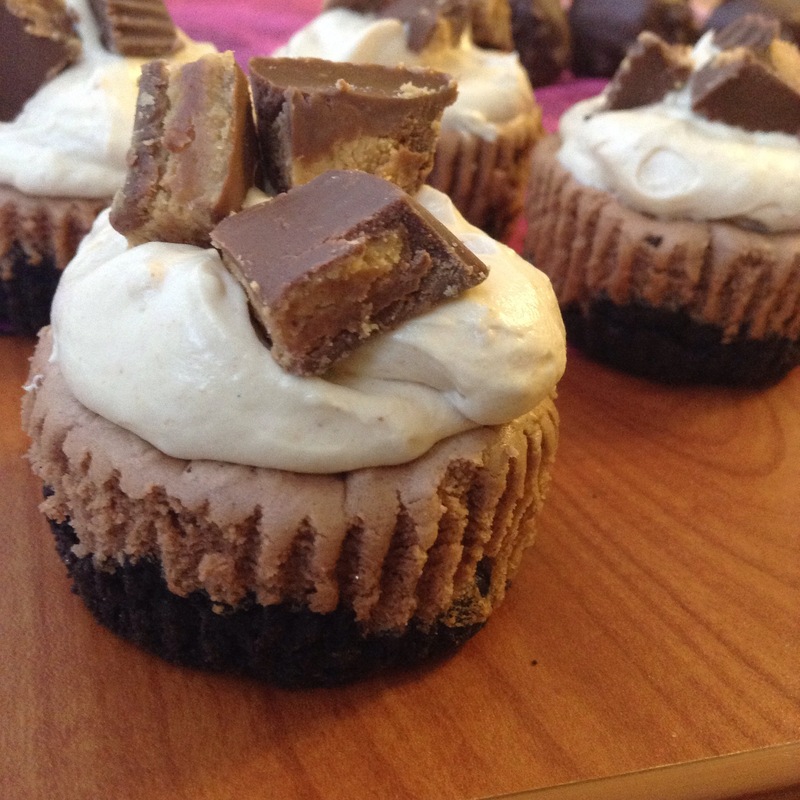 You can find the full recipe at http://insidebrucrewlife.com/2013/04/chocolate-reeses-cheesecake/. This recipe was inspired by a photo on Pinterest. however, it was a tragic incident of the pinner only posting a photo and no recipe. So, I winged it. This one only costs about $9 (with fresh strawberries to spare) and takes about one episode of Friends to complete. 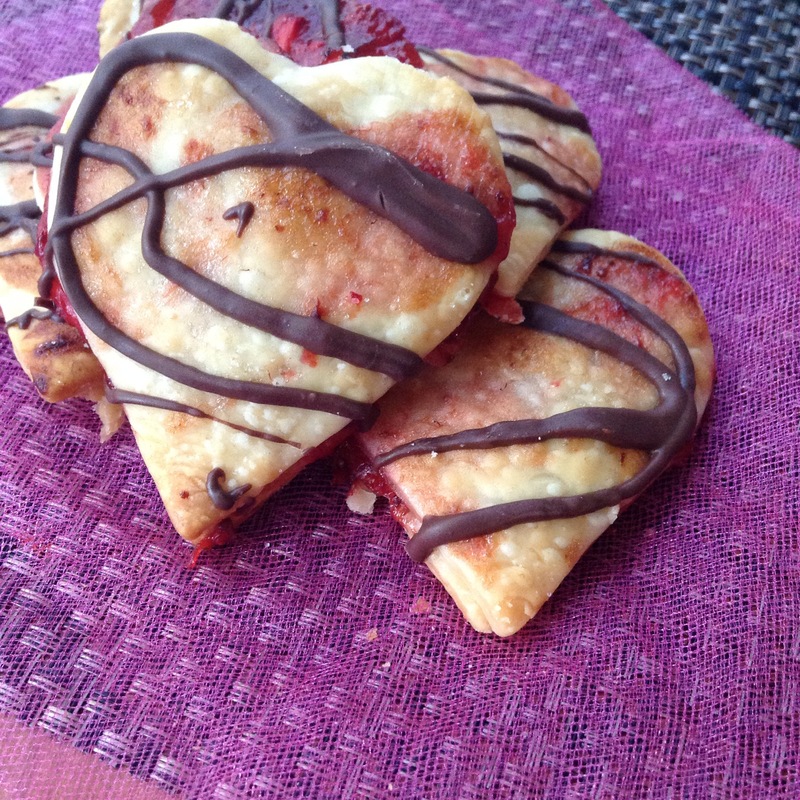 Strawberry-filled heart tarts. Photo by Tristen Phipps. 1. Roll out your pie crusts. Using the heart-shaped cookie cutter cut as many hearts as you can. (I managed 18 hearts, so 9 tarts total. 2. Dice 5 fresh strawberries. Combine fresh strawberries with strawberry filling and 2 teaspoons sugar. 3. Spoon strawberry mixture on top of hearts (leave equal number of hearts uncovered). 4. Use the remaining hearts to top the tarts, pinch together. 5. Bake for 14 minutes at 400 degrees, or until golden brown. 6. Meanwhile, melt almond bark. 7. Once tarts are cool, drizzle with almond bark and enjoy! Once Oreo Truffles melt in your mouth, Oreo cookies won’t be the same. This recipe costs only about $8. Oreo truffles. Photo by Tristen Phipps. 1. Simply put, you crush 36 Oreos in a food processor (or a blender) and combine with the softened cream cheese. Roll that into one inch balls, place on a pan, and freeze for ten minutes. 2. Meanwhile, crush the last three Oreos and melt the almond bark. 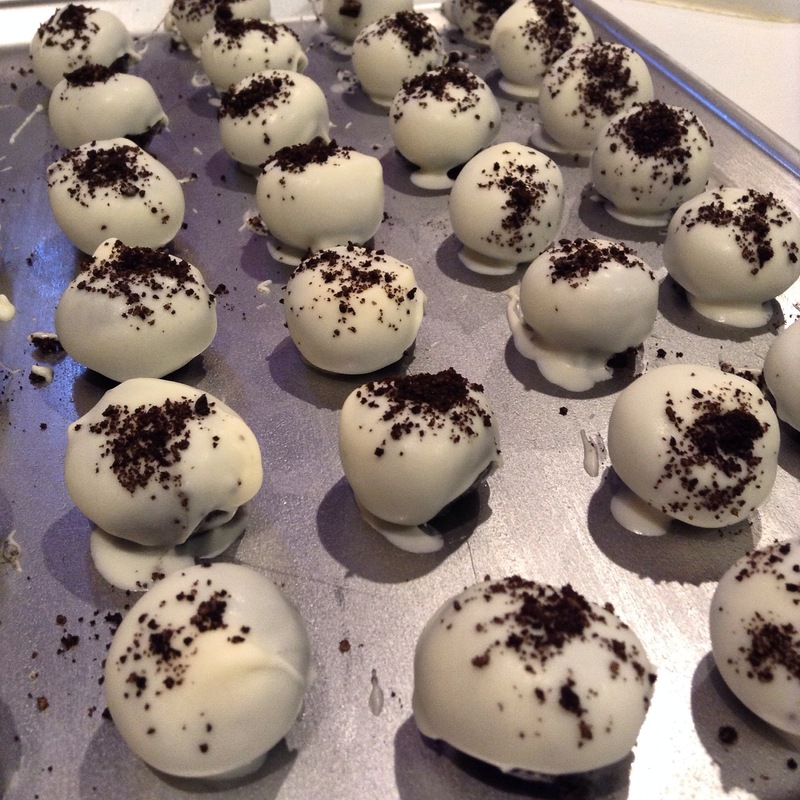 Take the Oreo balls out of the freezer, dip them in white chocolate and sprinkle the remaining three Oreos on top. 3. Also, if you want to be festive, add red food coloring to the vanilla almond bark. If you want all of the bakers jargon, you can find the full recipe at http://www.cookingclassy.com/2012/12/oreo-truffles-two-ways/. The last recipe (if you can even call it that) takes five minutes and costs only $5. 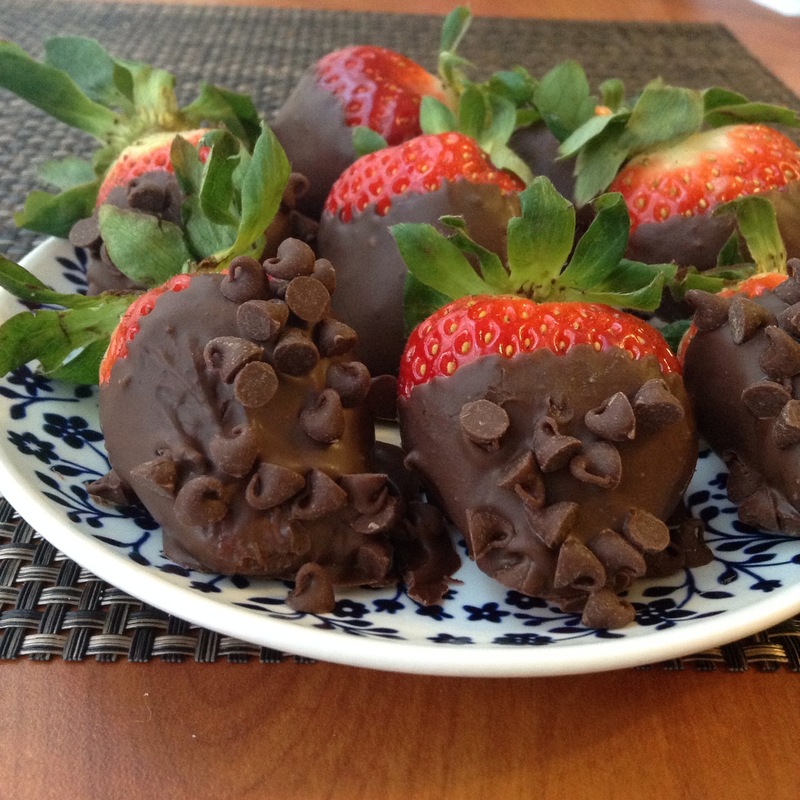 Chocolate covered strawberries. Photo by Tristen Phipps. Heat almond bark. Dip strawberries. Before the chocolate hardens, sprinkle mini morsels. Refrigerate. 1. Heat almond bark. Put marshmallows on Pocky. Dip marshmallows and before the chocolate hardens, sprinkle mini morsels.